Where are the Chilterns? 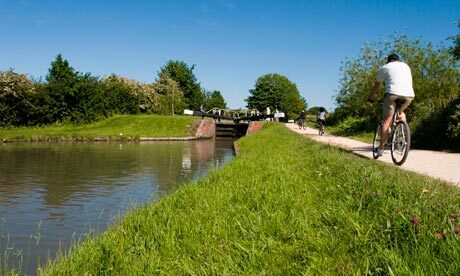 This is an area of England which incorporates Hertfordshire, Bedfordshire, Buckinghamshire, Berkshire and Oxfordshire. The White Lion in the Photo above was created in 1933. It was built to show the position of Whipsnade Wildlife Park which is situated just above the Lion itself. And is well known as the Lion of the Chilterns. It covers a huge area and is one of the most beautiful parts of Britain. There are loads to do in the Summer, and I have enjoyed many a day wandering around beautiful gardens, exploring Castles and visiting the local Zoo. We spent some time last year once again meandering around the grounds of Windsor Castle, which is in Berkshire. And even though I have visited it so many times over the years it never fails to delight me. The town itself is always full of tourists, horse and carriages. And if you are lucky you will get the see the Royal Standard flying, this is the flag that shows that the Queen is in residence! Things To See In Windsor Castle. A castle isn't just a fortified building to keep out the bad guys, well at least not these days! There are a number of really cool things to see in Windsor Castle. The miniature house is a wonderful sight to see. Children will love it. It was built in 1924 for Queen Mary. It even has electricity and water! The miniature people, clothes, rooms and furniture will keep kids amused for ages. This starts at 11.00 am and lasts for approximately 30 minutes. 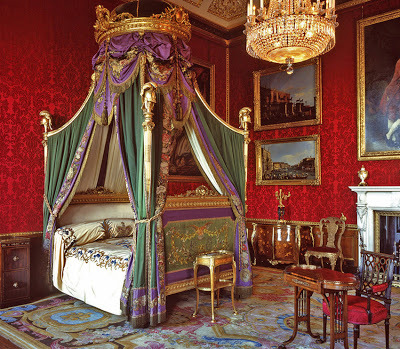 Take a look at the amazing bedchamber, made originally for the visit of Emperor Napoleon III and Empress Eugenie when they came to visit Queen Victoria back in 1855. 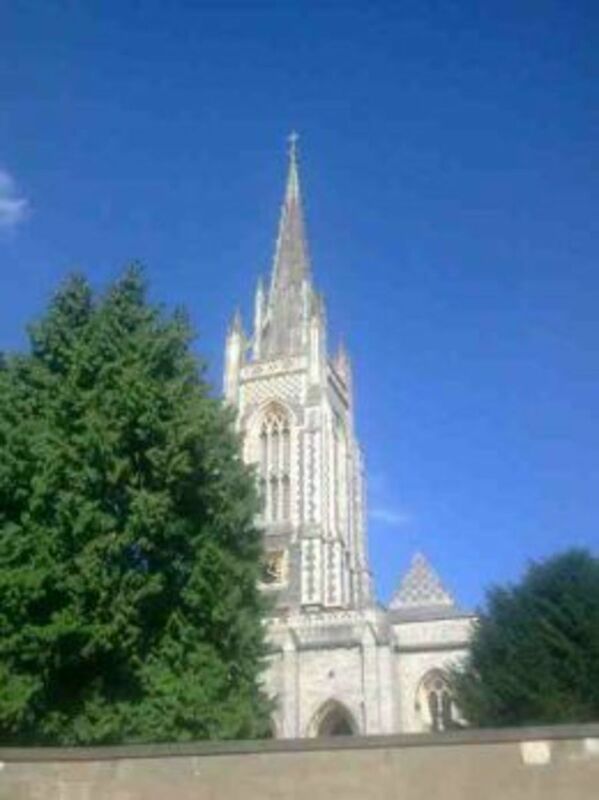 There is also the amazing St. Georges Chapel where the Queen and all the Royals come to Pray. This has also been the scene of at least 20 Royal Weddings over the centuries. 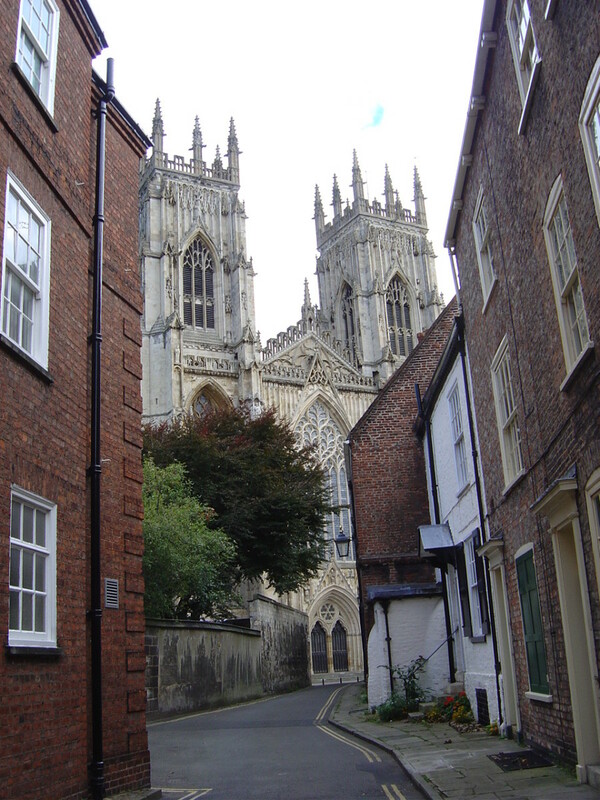 Come and take a walk in the footsteps of the royal family. The Chapel itself has a great eerie atmosphere. Many royals are buried here, and you get the sense of stepping back in time when you are walking around. 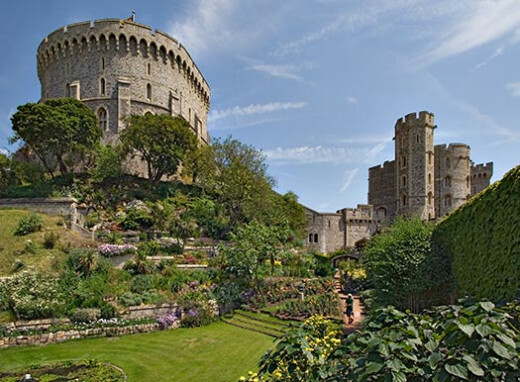 Windsor Castle is one of the main residency's of the Queen of England. There are a few times in the year when parts of the Castle are closed to the public. This is either because they are doing maintenance on the parts that are frequently used or because the Queen is in residence. There are of course times when there could be visiting heads of state. So always go Online to check out the most up to date information. Now you may be thinking, trains? What? But bear with me! This one is for the kids, or the child in you! This is a step into the past of steam railway. 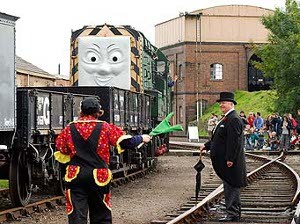 Along with Brunels railway, they show steam engines, coaches wagons and so on. 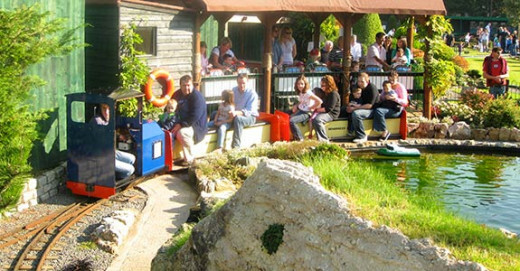 And they have great days out for the children with, wait for it, yes good old Peppa Pig Steam Rides, and of course Thomas the Tank Engine! 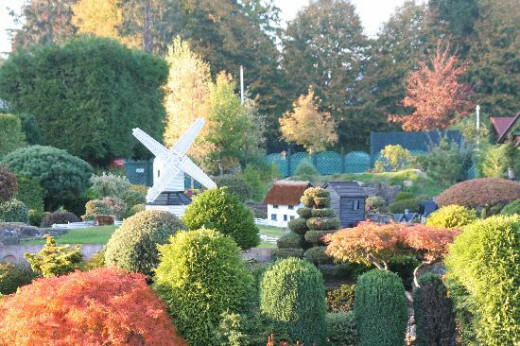 Beconscot Model Village is situated in Beaconsfield Buckinghamshire, and is the world's oldest type of model village. 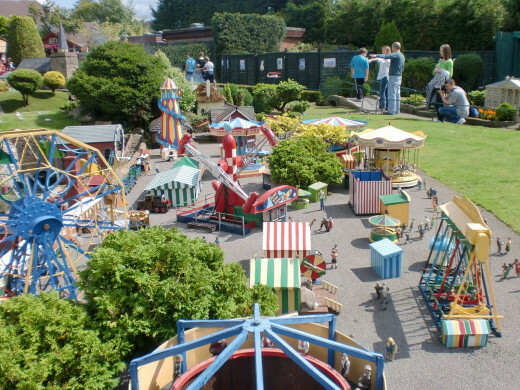 Along with the mini railway, it has been open ever since 1929. I remember spending many a happy hour just walking around the amazing tiny villages, watching the small train chugging along its path through the town and vast area of amazing gardens. The actual time frame centered around the village is the 1930s. It's a real step into the past, and miles away from the hustle and bustle of the real world. The amazing thing is that it has over ten miles of model railway track, and the views are wonderful. And don't forget to take that mini train ride around the park! Great day out! Do You Like Stately Homes? Cliveden. 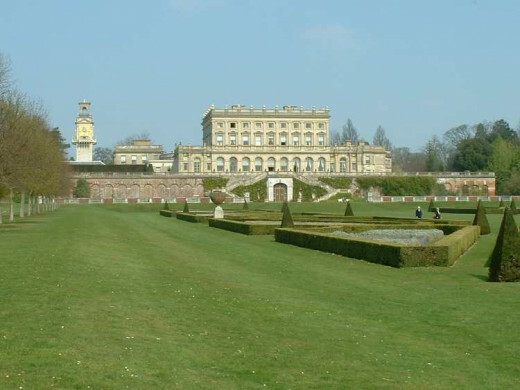 Cliveden is a mansion situated on a huge estate in Taplow Buckinghamshire. With grounds sloping down to the river, and amazing views this really is one place you don't want to miss. Over the years it has been owned by three countesses, an Earl, A Prince of Wales, two Dukes, and the Viscounts Astor. What is there to say about this house? Well plenty, but I will have to show you, otherwise we would be here all day! There is so much to see and do. If you like walking then there are the amazing gardens, woodlands, chapels and the house itself. Its a wonderful day out. 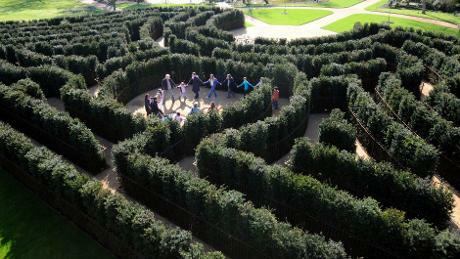 There is even a huge Maze so you can get lost and have fun! Cliveden Prices and Time Table. © J.K.R. 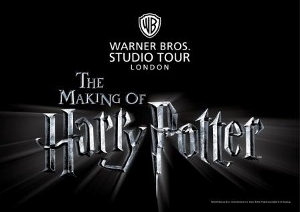 Harry Potter characters, names and related indicia are trademarks of and © Warner Bros.
Want to read more? Come and take a look. Reincarnation, Health, Ghostly goings on, Travel and many more. Just click on the link. 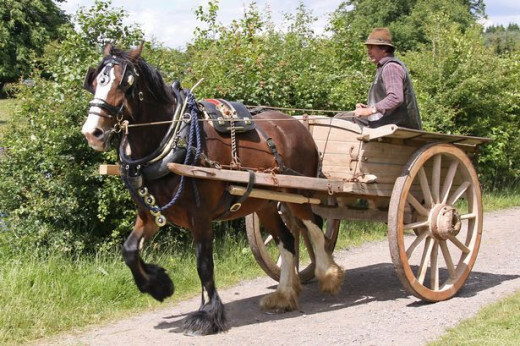 There is so much to do within the area of the Chilterns. 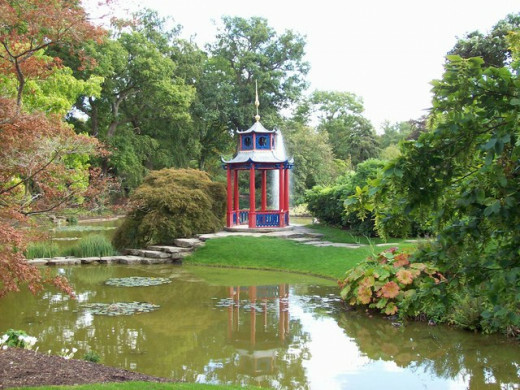 But if you want to venture out further then there is something pretty special going on just outside of Berkhamstead. 9 miles away in fact. Its the Harry Potter experience! You get to see the sets, costumes and props. Along with the special affects and animatronics that made these films great! So there you go! Why not come along for a visit? You will never be bored! Isle of Wight - Englands Prettiest Island. 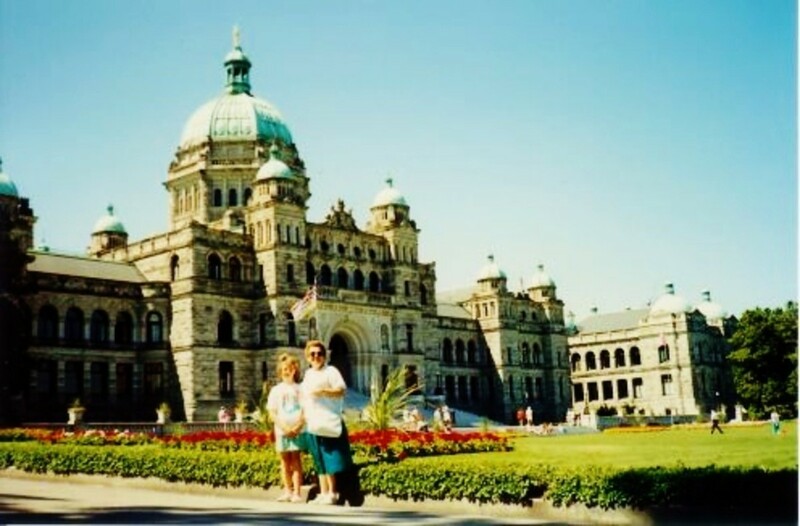 Things To See And Do On Your Vacation. Margate by the sea, a childhood cherished memory, with Dreamland the most magical place in the World. So what went wrong? London is a very exciting City to visit. With its old traditions and Royalty, it has many fascinating and historical sights to be explored. Windsor Castle is an amazing place to visit, and I had been there twice. Reading this hub brought me back the beautiful memories of my visit. Hi, Nell. I am so happy to see you again. Wow...I love this hub very much. The pictures so beautiful with very well explanation. I hope I can go there someday. Thanks for writing and sharing with us. Voted up! Hi ihoxie, thanks for reading, yes I love those miniatures too! especially when I was a child I couldn't be dragged away from them! lol! yes come on over you would love it! I loved taking a virtual tour through Windsor Castle and the Chilterns with you. Thanks for taking us there. Lovely photos. I love the little miniatures. They did something similar at Bellagio one year in Vegas at the Atrium one year and that was my favorite display. 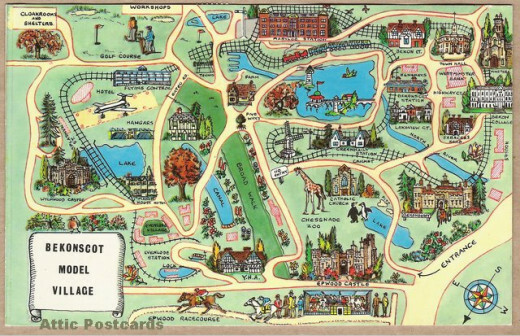 Might just have to add Windsor Castle and the Chilterns to my Bucket list! 4 years ago from Gone from Texas but still in the south. Surrounded by God's country. I don't travel well but this so makes me want to visit England. Charming and enchanting really don't do justice to the world you have painted. I love visiting your articles on places over there. They are always so much fun! 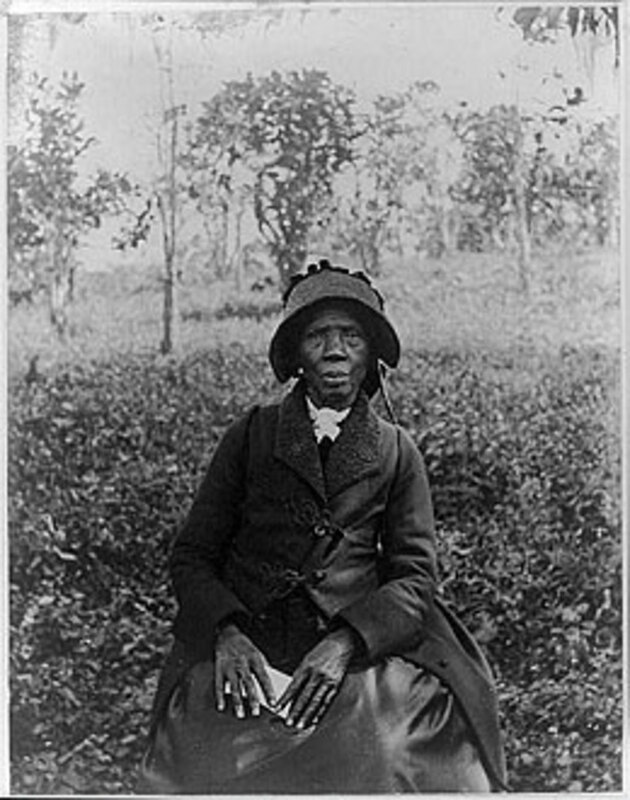 The pictures are amazing and your description makes me want to visit this fascinating place. Truly majestic! I leave not far from many of these wonderful places! Windsor and Eton are lovely towns to wander around with smashing little tea and coffee places to stop at. I have never been to Cliveden House though, I'm going to look into visiting after reading this! Hi, I am fed up of calling you LadyF, gonna call you Jo. So, hey Jo! LOL! and yes all the doors and windows are closed, but, its starting to storm, lightning and thunder, yeeks! more scary than ghosts! lol! thanks for always making me laugh! lol at chasing ghost and horn head people well , what I meant you're more familiar with them than me ha ha ha . I see you have some interesting hubs will be here soon to read some, I can depend on you to laugh out loud. your nutsy lmbo. Its after midnight now in England make sure all your doors and windows are locked. Opsy I forgot ghosts can walk through the door. By the way , why do all these places end with " shire" is that England's magic word ? Thank you Nell for all the lovely pictures, they make me wan to visit. Hiya Gordon, Windsor Castle is amazing isn't it? thanks for the email too, great to hear from you, take care, and happy fishing! lol! Sounds like a great way to spend a week or so. I love to play, so this would be right up my alley. Naturally, I'd still have to photograph my birds! Hi Maggie, yes I haven't been for some years, but I do remember how amazing Beconscot is, and of course Windsor too, not only the Castle, but they have coach rides up and down the town too, thanks for reading, and I hope you find somewhere to take your children, the summer holidays are on the way, and with six weeks off that's a lot of amusement! lol! What an interesting article about places to visit in England. I've been thinking about places I could take my children this summer and you've given me some great ideas. 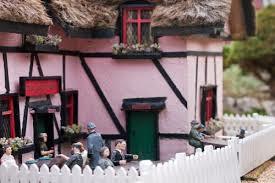 I'd love to visit the Beconscot Model Village. Thanks for sharing. What a great travel hub, Nell! I didn't realize I have been to Berkshire until I read this hub. I have visited Windsor and the castle and it is a beautiful village and fortress. I love all the pagentry of the Royals! lol. The other places you write about are so interesting too. Another reason to return to England for a visit. Your country is beautiful! Wish I had this article 15 years ago when I went to London. I did go to Windsor Castle which was absolutely incredible. I still remember the tour today. The art was stunning as were the furnishings. The town was lovely too, even though it was overrun by tourists (including me). I'd like to visit some of these other places next time I'm lucky enough to head over. The Chilterns look like a marvellous place to visit and there's a lot to do! If I had to pick my favourites, I would check out Queen Mary's dollhouse, the Beaconscot Model Village and walking around Cliveden. Voted awesome and up! Amazing! I am adding this to my bucket list of places to visit. What an adventure that would be! How exciting to have that in your own back yard. Thanks for sharing this armchair adventure. Hi Wiccan, thanks so much for reading, yes I couldn't resist it! lol! I love your travel articles, what great images. This is so nice to be able to virtually explore places I will probably never be able to go. 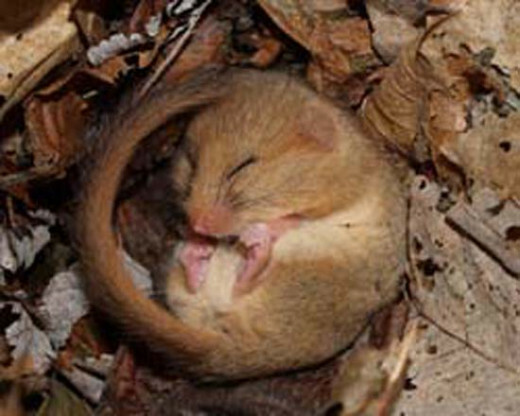 I love the photo of the cute sleeping door mouse, lol. Excellent hub, voted up. Hi pras, great to see you! thanks so much for reading, and have a wonderful weekend! Wow....I can't say anything except...beautiful. I love all pictures here. My imagination fly to those place. Thanks for writing and sharing with us. Nell, my vote always for you. (useful, awesome. beautiful, interesting). Thanks Turtle, yes that dolls house is lovely! all the castle is amazing, I love history so I could move in there! lol! Hi DDE, thanks so much for reading, glad you liked it, and thanks! A great hub on such a wonderful place. The photos are beautiful and I can only imagine the rest. This sounds like a lovely area to explore, Nell. I've been to Windsor castle, but not to the other places that you describe. Thanks for the interesting and enjoyable tour! Changing of the guard must be an interesting site. I admit, I'm not into miniatures but that doll house sounds like something I'd like to move into. Thanks for the post! I like that: 'bare with me', were you planning a group strip? Seriously though, the St George's Chapel also has the original arms of the Order of the Garter established by King Edward III. I've only been to Windsor once, with the little woman. The station was the first thing that struck me. Very 'Olde Worlde', early Victorian. Very odd with the modern electric multiple unit parked at the platform. Not far to go to the riverside, either. 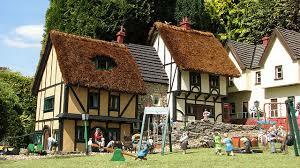 The model village looks interesting as well. Right up my street. Interesting tour here, Nell. I suppose you'll add to the page as you think of more connections? Perhaps a write-up of the castle's history and town of Windsor? What a great hub with absolutely beautiful photos. I've wanted to visit the UK for many years, but this makes me really want to visit. I would love to see the Harry Potter venue because it was such a thrill to see where the train station scene in Dr. Zhivago was filmed in Helsinki when I visited there 20 years ago. I love the castles and the rural scenery, oh well, maybe someday. What a wonderful way to spend the day! It must be quite exciting to tour a working castle. And the mini villages! Super fantastic. It's sad the original Southport was torn down. And for a grocery store, for crying out loud? Fascinating tour, Nell. I really enjoyed this. Hi Lady G, thanks so much for reading, glad to see you! Very lovely. It almost seems like I am there. Nell, you do such good job of showing off your England. Never heard of the Chilterns but would sure like to see the area. Thanks to you. Hi Flourish, you will be very welcome! come on over! lol! Oh, I just want to hop on a plane and visit! What an amazing tour you have taken us on indeed. I do hope to be able to travel within the next few years to places I have never been, especially fantastic places such as these. Yes, I agree with your title for they are certainly great days out! 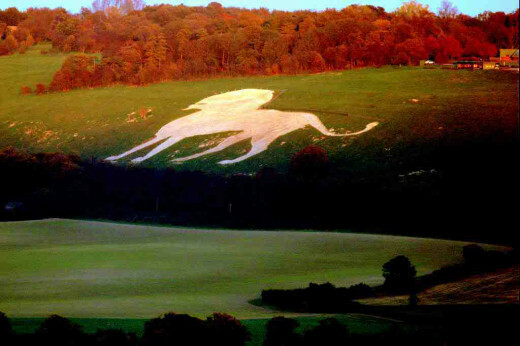 That White Lion of Ivinghoe Beacon is stunningly beautiful too. This was a wonderful tour, Nell. I sure wish I had seen it in person when I was there a few years ago! Maybe I'll have to go back just to see it! The Chilterns and the Windsor Castle looks amazing. Great hub and great pics. Enjoyed reading. Hi Ruby, thanks so much for reading, come on over, we would have a wonderful time! lol! Thank you Nell for such a wonderful tour! I loved it all, even the dormouse, lol. I have heard of them but never saw even a picture of one. So cute. Thank you! Oh if I lived there with all that history my legs would be walked off by now. What a fun tour, Nell. Thank you. The first question that popped into my mind about Windsor is how is it heated? 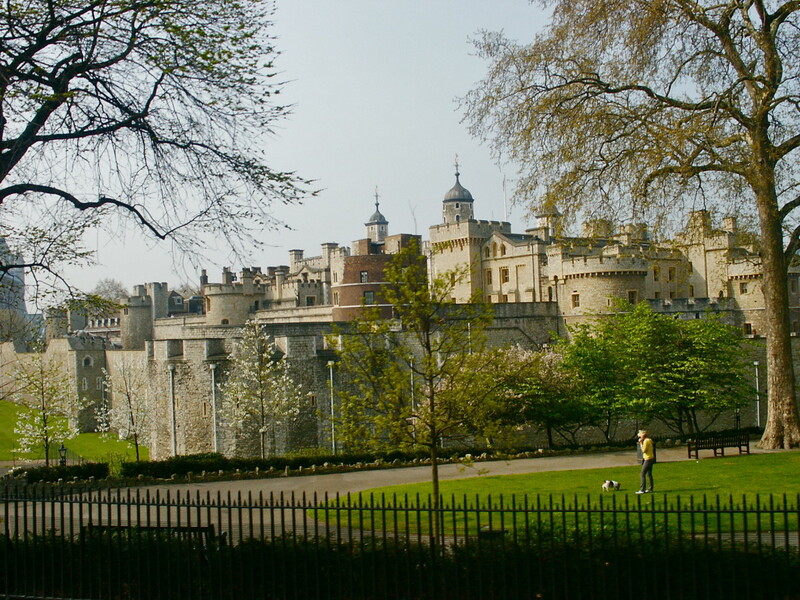 Talk about stepping back in time…I would love to visit the castle and Chilterns. Voted up ++. 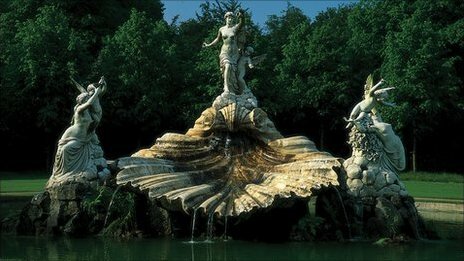 More beautiful places to visit! So jealous... one of my friends is moving to the UK in about a month. I've got to find a way to get to see all this IRL. Thanks for sharing! Oh, I would so love to see all this, especially Queen Mary's dollhouse. Thanks for a great "armchair tour of the beautiful Chilterns! What a wonderful tour! Thank you, Nell. Hopefully one day I'll be able to see it all myself.